This just in – Dîner en Blanc (DEB) will be happening in Hong Kong at the end of this year, and registration to be part of the exclusive event is now open. For those drawing a blank, DEB was created by Francois Pasquier in Paris over 25 years ago as an event for close friends and acquaintances. The premise: all guests are required to dress entirely head to toe in white, and meet at a secret location (only disclosed at the 11th hour) to partake in an elegant outdoor picnic. Diners are also required to bring their own tables, chairs and cutlery in addition to food and wine, all adhering to the white theme. Essentially a food flash mob, the event has taken place in some of the city’s most iconic locations, including under the Eiffel Tower, on the Champs Elysees, and the Louvre pyramid. Place your bets on the secret location for Hong Kong now – will it be in West Kowloon, Sun Yat Sen Memorial Park, or Avenue of Stars? Or somewhere less obvious? 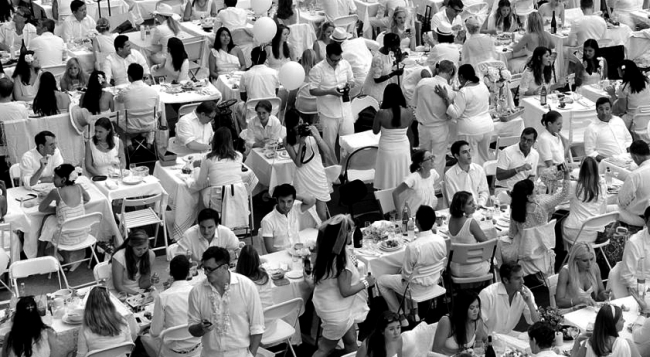 To snag an invite, you must know a member of the organisation or a guest who has attended a Dîner en Blanc event previously. However, registration to be on the waiting list is now open to newcomers.